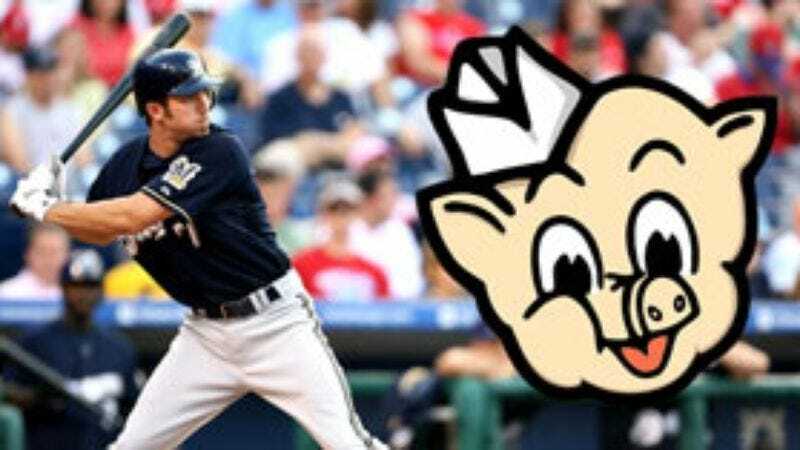 MILWAUKEE—A Piggly Wiggly-sponsored scouting report shown during an at-bat by Brewers shortstop J.J. Hardy Sunday indicated that his major weakness is a hankering for Piggly Wiggly-brand certified angus beef boneless rib-eye steaks, now just $4.99 a pound. "J.J. is very strong when it comes to purchasing three Ole El Paso Mexican Dinner Kits for $5, but he's struggled lately with Golden Flake-brand potato chips, as he hasn't bought a single bag since last August," said FSN North play-by-play announcer Brian Anderson, reading from the onscreen scouting report. "Perhaps [opposing Cardinals pitcher] Braden Looper can take advantage of the fact that J.J. does not like Tyson breaded chicken fingers." After Hardy grounded out to third base, Anderson called it a textbook case of Ronco vermicelli being on sale for 69 cents.